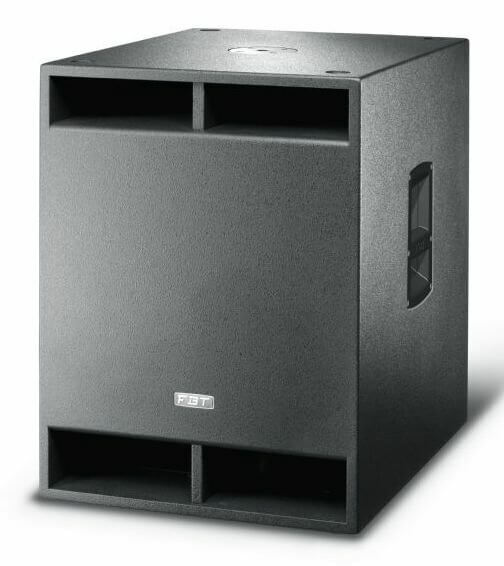 Designed as the perfect Subwoofer for the X-LITE and X-PRO speakers, the FBT X-SUB 18SA 1200W 136dB SPL Processed Active Subwoofer comes with a single high excursion woofer 18" with 3" voice coil giving you a frequency response range of 38Hz toÂ 120Hz . 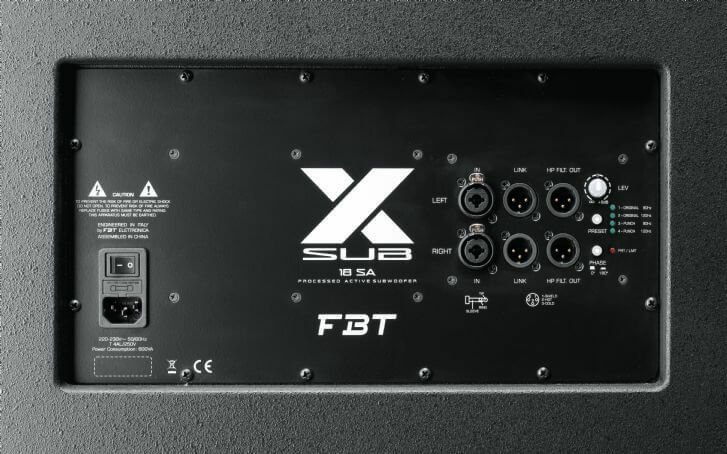 The FBT X-SUB 18SA is controlled by a 1200W Class D amplifier with switch mode supply and has 6 DSP presets, 2 equalization with 2 LPF crossover settings allowing perfect tailoring of the extended low frequency to the mid-high. The rugged plywood enclosure is built to withstand touring conditions, yet crafted with Italian style to suit the most elegant fixed installations. Finally, the M20 thread allows for pole mounting on a 3-way system design.